Getting injured in an accident is a situation hard enough, but when the consequences of the accident are lethal, then the tragedy is as hard as it can be. We all have lost someone we love, and we know how you feel. Recovering from those emotional wounds will certainly take time, but in the process, you should consider your options to hold at-fault parties responsible. To do that you should call the best Miami wrongful death lawyer you can find and ask for a free consultation. In that call, you can explain your situation and get the information you need to make an informed decision on whether to move forward with a claim for full and complete compensation. That compensation may include funeral costs, pain and suffering, loss of financial support, loss of parental guidance, and other death-related losses. 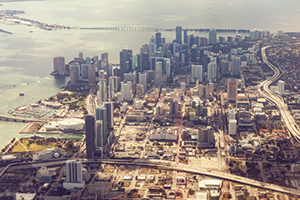 You'll need an experienced Miami personal injury lawyer to get the compensation you deserve. We invite you to call the Wynwood wrongful death lawyers at the Wolfson Law Firm. We have helped injured victims and wrongful death survivors since 1963 and we here to work with you too. Call us today for free consultations at 305-285-1115. We will answer all your questions at no cost. We ask for fees only when we recover damages for our clients, so there is no risk for you in calling us. Wynwood is all about art and entertainment. It abounds with art galleries, bars, nightclubs, cafes, breweries, clothing and other retail stores. The neighborhood itself has three districts. The most famous is the art district, hosting over 70 galleries. The fashion district hosts many major clothing retailers, while the technology district is the city’s startup hub. Wynwood is located between Allapattah, Edgewater, Buena Vista, and Town Square. The zip code is 33127. The total population is just over 7000 people. If you have lost a loved one in an accident in Wynwood, don’t let the responsible person get away with it. You may find some form of justice through the civil compensation recovery process. You should, at the very least, find out whether some person or party should be held accountable for the Liberty City wrongful death suffered by your family. For any question about that, call us at 305-285-1115 for free consultations. The Wynwood wrongful death lawyers at the Wolfson Law Firm will provide answers to all your questions. We don’t ask for fees until we recover for you.